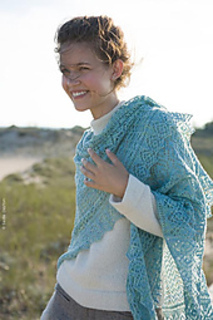 A Faroese shawl in one size with transitioning diamond and chevron patterns that evoke textures and shapes of ice and frost formations. 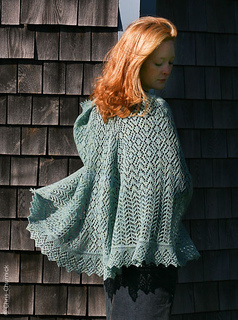 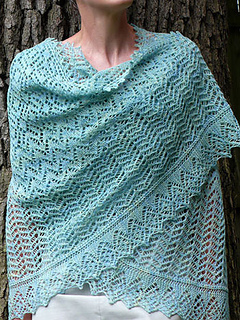 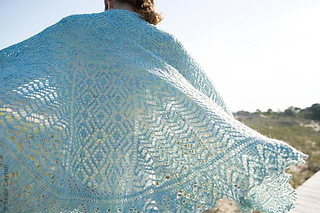 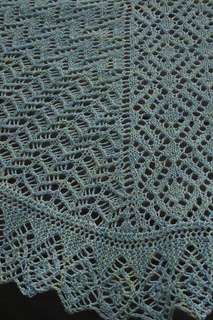 Shawl is worked top-down, with shaping at the shoulders and an applied (knitted on) lace edging at the outer border. 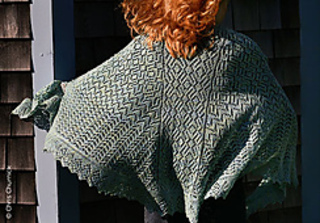 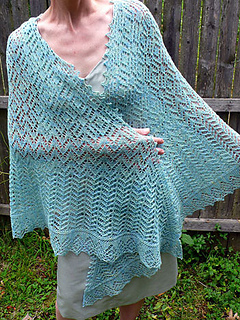 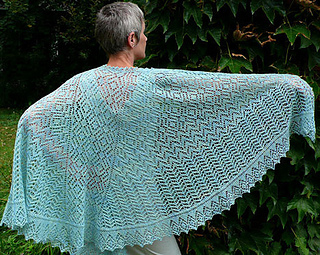 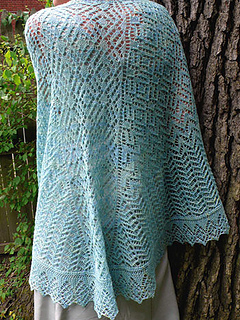 Substituting yarn and/or needles may result in an overall variation in shawl size. 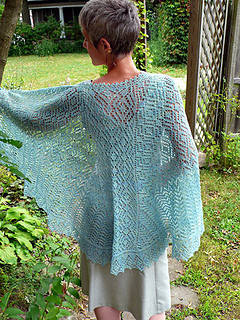 Pattern originally published in the Winter 2008 Twist Collective.